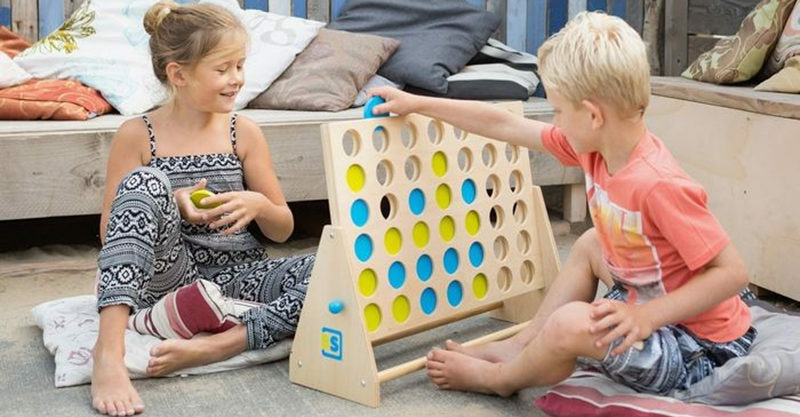 The perfect game for two players, Connect Four has been bringing both oodles of fun and sibling rivalry to the table since 1974. So naturally, we love this giant-sized version of the game! The sheer size of the Giant Four In A Row game means it’s easier for younger children to play. A sturdy wooden frame means there’s no accidental (I use the word loosely, my cousin was quite the cheat … I mean, clumsy player!) knocking over of the frame, thereby forfeiting the game. 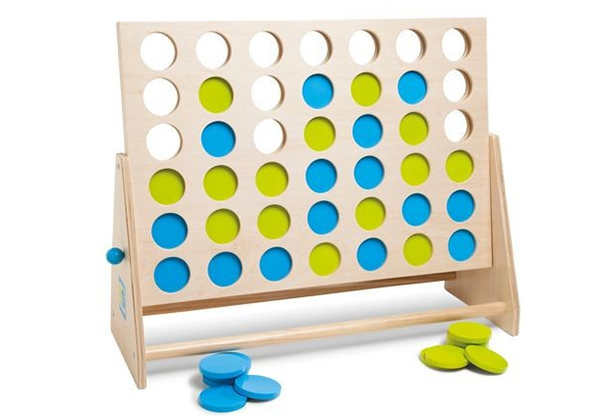 Superb for building kids’ problem-solving skills, line the discs up horizontally, vertically, or even get clever and build a row on the diagonal – all you need to do is get four of the same colour in a row. Easy peasy. Giant Four In A Row is priced $119.90 and available from CleverStuff.